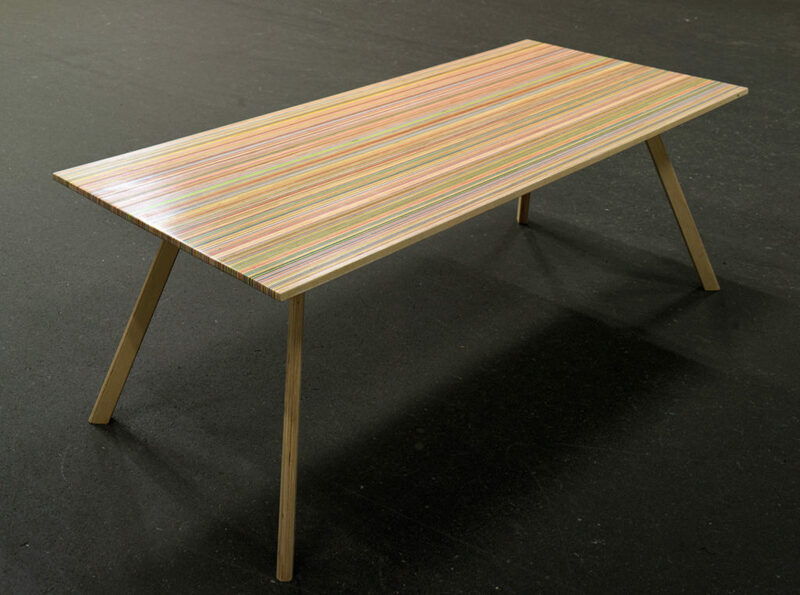 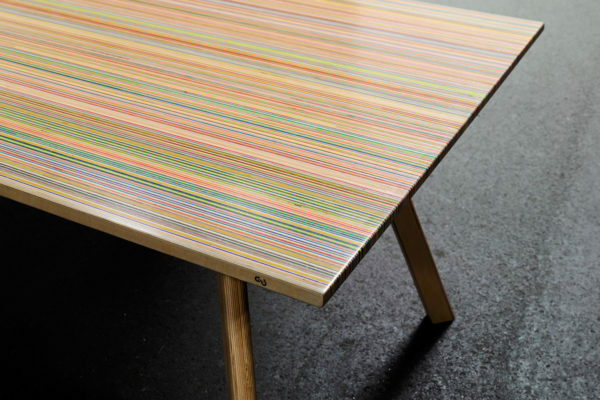 The top of this table is made out of recycled skateboards collected at local skate stores and factories around Europe. 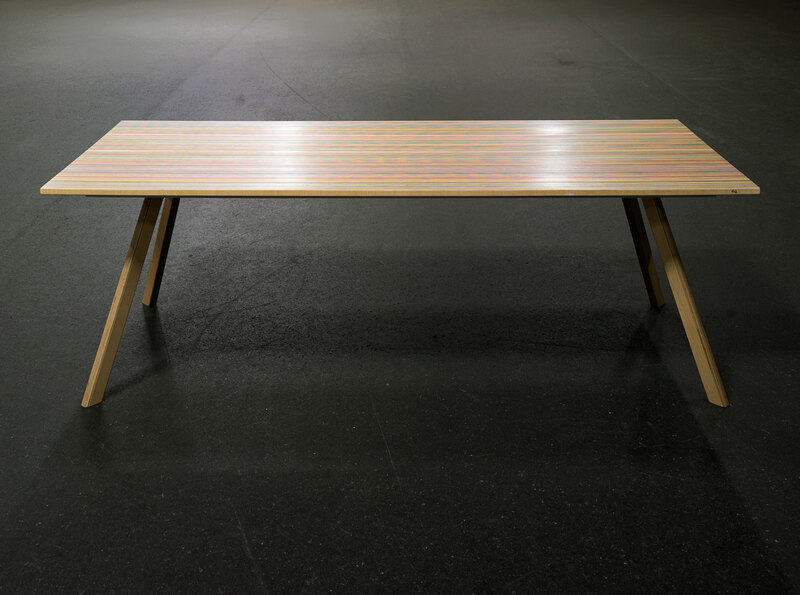 The colorful table top rests on a powder coated steel frame, which is supported by four birch plywood legs. 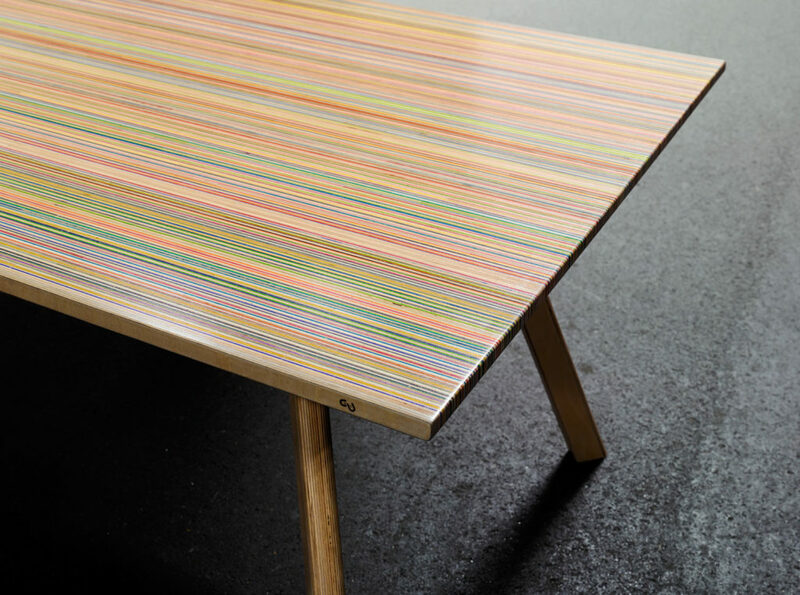 We work only with wood that has a sustainable forestry labels. 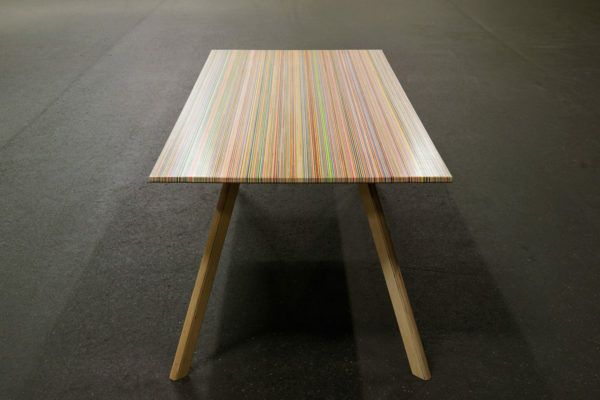 DecksTop Timber 90: 160x90x76cm (l x w x h), constructed from 90 skateboard decks. DecksTop Timber 135: 200x90x76cm (l x w x h), constructed from 135 skateboard decks. 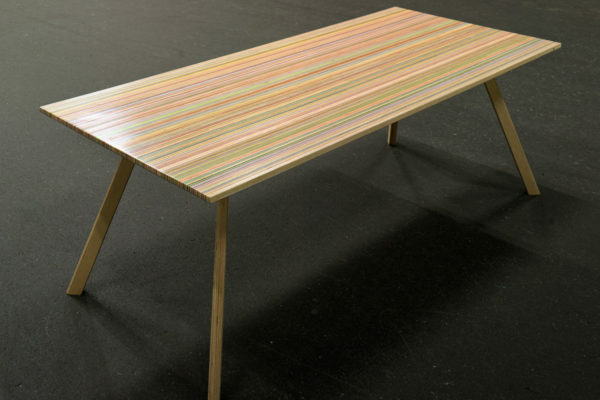 DecksTop Timber 150: 240x90x76cm (l x w x h), constructed from 150 skateboard decks.